The Mirror actually engages your guests with colorful voice animations and prompts. Your guests will be amazed by this “talking” photo booth. 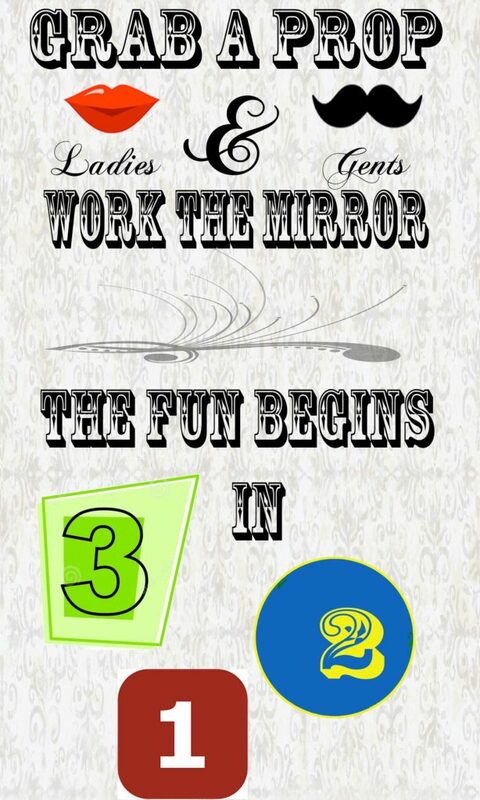 The Magic Mirror photo booth adds an entertainment value to your event that old school booths just cant provide. Brides are always looking for new ways to entertain guests so why not choose something that’s in vogue and is something that pleases the crowd easily? The Mirror photo booth will surely be the hit of your reception. The use of photo booths at weddings has become quite widespread these days. So you must think of something special which can help your photo booth stand apart in the crowd. How can you do that? Rent the Magic Mirror which is great in appearance and gives your guests an entertaining and interactive experience. Mirror photo booths are quite new. In the Indianapolis area. 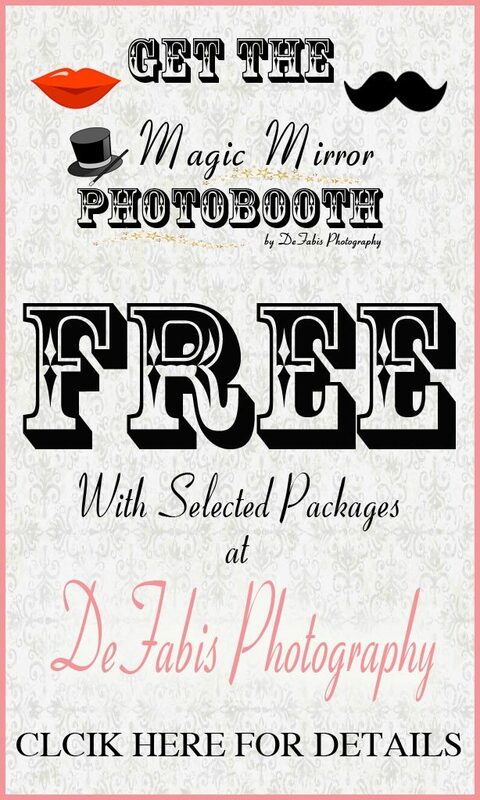 DeFabis Photography is the only place to rent a Magic Mirror Photo Booth. Be one of the first to have this unique experience at your event and have guests talking about how much they enjoyed this new style photo booth. It’s a full length mirror with the camera hidden behind the mirror. You will be able to see yourself during the entire “selfie” experience. Another feature of the Mirror is the retake feature. The mirror will ask you if you like the photo and if not you can do a retake which a feature that ordinary photo booths do not have. Fun prerecorded animations are the most unique feature of the Magic Mirror. You can have custom animations that portray any mood for your event. You select the type of mood you want and select the animation accordingly. The Magic Mirror is memorizing! Our Magic Mirror is more aesthetically pleasing and will look so much better at your event. Old style booths can be bulky, unattractive, and conspicuous. 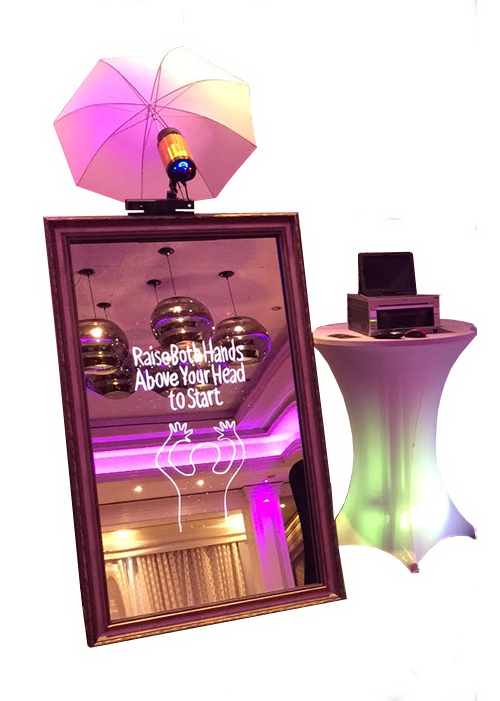 The magic Mirror can also be designed in line with the theme of your event with a custom welcome screen, frame, carpet, and branded cover. The Magic Mirror provides each guest with a personalized keepsake from your event. Photo options include a full 6×4 portrait or the standard 2×6 strips like old school booths. The Magic Mirror is not the same experience for everyone. Workflow can be set up that random animations are played so each guests have a unique experience. The Magic Mirror can easily be rented from DeFabis Photography via an online booking system. Mr DeFabis can send you an online quote that will enable you to secure your date on their schedule.